Three of F61’s kittens in a typical fortress of downed wood, in which she gave birth. Photo by Mark Elbroch. An early snow had painted the landscape completely white, and we were navigating the slippery roads of backcountry northwest Wyoming as part of Panthera’s Teton Cougar Project. We paused to look at footprints of a mountain lion we called F61, where she crossed the road and climbed towards the ridgeline. Just up the road, we found a houndsman’s truck tucked up against the trees. I turned off the engine and we stepped out into the crisp, still air. We did not hear the baying of hunting hounds—perhaps he hadn’t found her. Just ravens and wind. We knew that F61 was nursing four tiny kittens at the time, tucked up in a woody fortress to the south across the river. If she were killed, four more mountain lions would die. It’s an unavoidable reality that, on occasion, hunters unintentionally kill females with dependent young—subsequently dooming the kittens along with their mother. This is why we conducted new research just published in the Wildlife Society Bulletin. 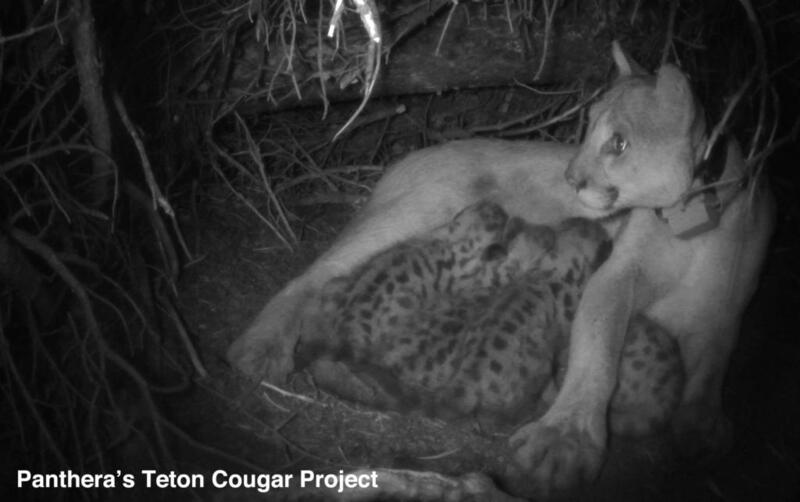 We set out to study female movements and behaviors while they were caring for the youngest and most vulnerable kittens in the den (See this blog for a description of a puma den). “Denning” is the period beginning when kittens are born and ending when they start traveling with their mother to her kill sites. We used 12 dens to determine the average length of denning, and 34 dens we documented over the course of our work to determine the following—if we delay legal mountain lion hunting until December 1 each year, we can avoid the denning period for 91% of mountain lion families. Such a change would allow hunters the best opportunity to detect mountain lion family groups in the field, and to avoid inadvertently hunting females with kittens. 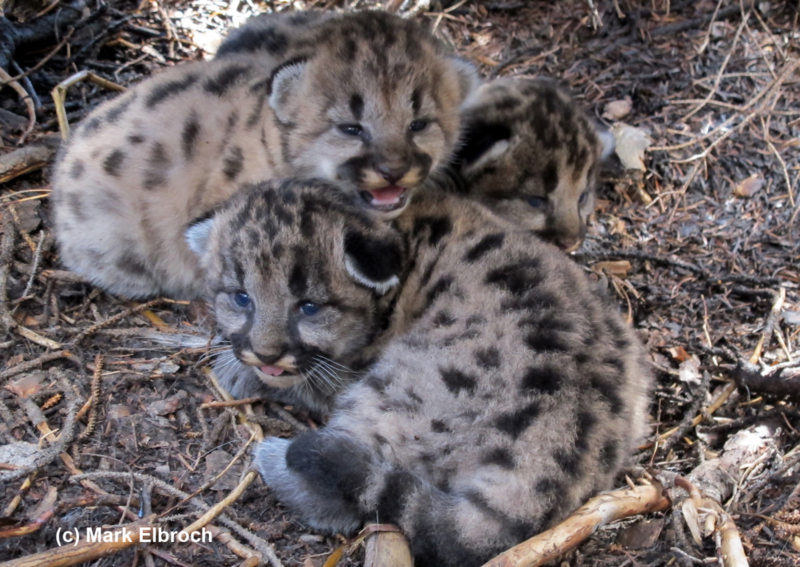 It’s also a change that provides mountain lion families greater safety while their kittens are most vulnerable. It’s also a change that reflects a growing appreciation for predators in an evolving world. In my mind, it’s just common sense conservation. The morning after our encounter, Michelle Peziol, the Project Manager of Panthera’s Teton Cougar Project, followed F61’s trail from where we’d found her tracks crossing the road. Climbing the hill and traversing the ridge line, she saw that the mountain lion’s trail was intercepted by a hunter on horseback and his hounds. She discovered the tree where F61 had sought refuge. The area was a mess—churned up by the feet of cat, baying hounds, horse, and man. At the same time, I toured F61’s usual haunts and found her using the beacon in her collar. The hunter had let her go. I caught up with him several days later. He was gracious and recounted a beautiful day on the mountain—his first day hunting of the year, he said. He described F61 well, saying he’d noticed her collar and realized she must be one of the mountain lions we studied. He valued research, so he hauled in his hounds and walked away, letting her be. 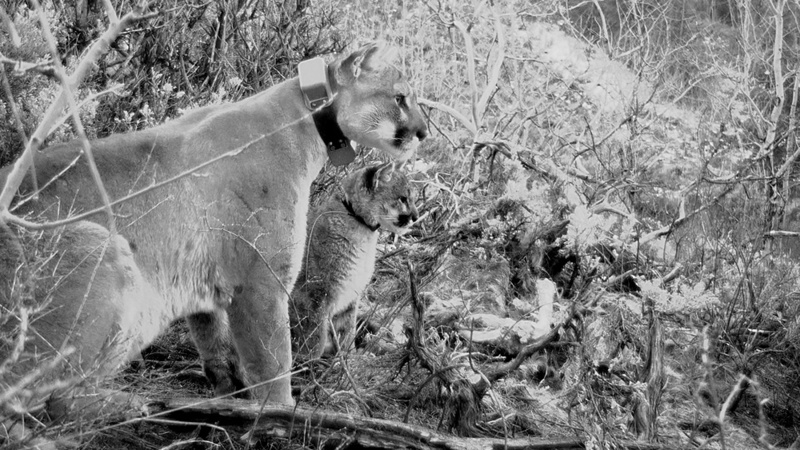 The hunter had spared F61, and in doing so, had saved the lives of four more mountain lions, too. He was more than relieved when I told him. This is simple change that can aid mountain lions right now. 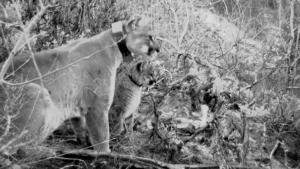 Spread the word: Delay mountain lion hunting seasons in western states until December 1 to protect the youngest kittens. It’s common sense conservation that we can apply immediately to increase protections for mountain lion families in hunted populations, supporting the shared goals of conservation scientists, wildlife advocates, and hunters alike. Follow our work on Facebook as well. Natural History, Animal Tracking, And Mountain Lions.